World War I Army/Marine Division Rosters | Friends of Fort Caswell Rifle Range, Inc. 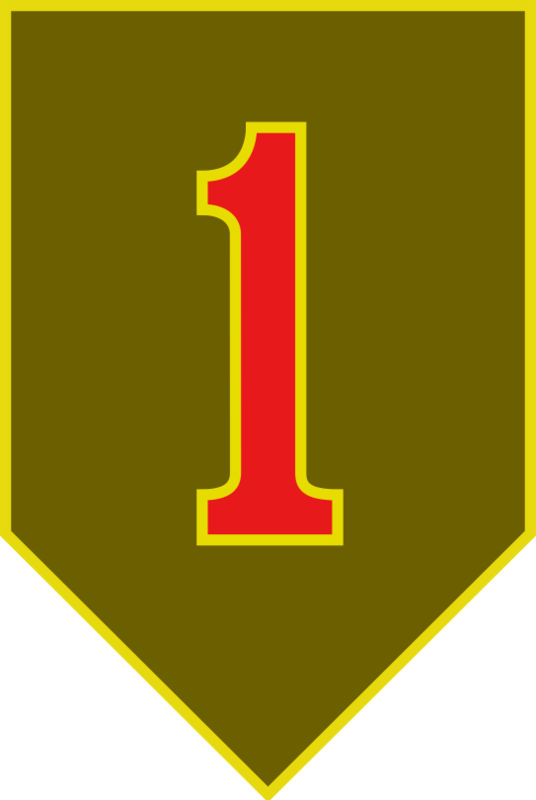 This page will be updated as Army/Marine units are covered in WWI Profile posts on the blog. Click on the Brunswick County veteran name on the rosters to view the NC World War I Service Card. FamilySearch (familysearch.org) is a free site, but requires registration to view records. Click on Wounded/KIA/etc to view the WWI Veteran Profile. You can read more about the NC WWI Service Records on this NC State Archives blog entry. Another State Archives blog entry is available that helps interpret the service cards. Definitions of abbreviations can be found here. America’s first division, or the “Big Red One,” was organized in May/June 1917, the first after the US declared war on April 6. The First Division was the first American Army division to arrive in France (June 26, 1917), the first to enter battle (October 23, 1917), the first to report American casualties (October 25, 1917), and the first to lead an American victory (May 28, 1918). General Pershing chose the 1st Division for the vital position, or post of honor, in most of his engagements, resulting in a large casualty count of almost 24,000, 5 Medals of Honor, and 300 Distinguished Service Crosses. Organized October 1917 in France from troops of the Regular Army and the Marine Corps. The division was commanded by US Marine Corps generals twice during WWI, the only time in US military history when Marine Corps officers commanded an Army division. The 2nd Division lost more men, gained more ground, captured more guns and prisoners, and won more medals than any other American Division. The Regimental HQ, 2nd Engineers (1920) The official history of the Second Regiment of Engineers and Second Engineer Train, United States Army, in the world war. San Antonio: San Antonio printing co. Organized November 1917 in Camp Greene, NC. from troops of the Regular Army along with supplements from states. Earned their nickname “Rock of the Marne” after famously holding back the Germans on the Marne River on July 14, 1918, thereby protecting Paris. Their commanding officer cried, “Nous Resterons La” (We Shall Remain Here), which became their motto. General Pershing called this stand “one of the most brilliant pages in the annals of military history”. Organized December 1917 at Camp Logan, TX. The division was scattered throughout eastern and southern United States and not united until after its arrival in France. 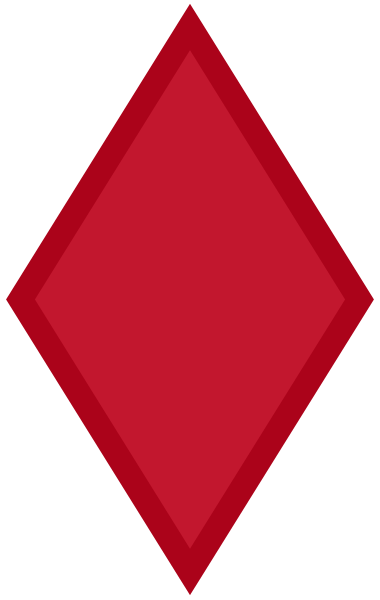 The division insignia was chosen as a red diamond with a white “5” in the center. After arrival in France, the “5” was removed. The 5th Division is also referred to as “The Meuse Division.” The 5th Division’s capture of the riverfront and points east was called “one of the most brilliant military feats in the history of the American Army in France” by General Pershing. The Society of the Fifth Division (1919) The official history of the Fifth division, U. S. A., during the period of its organization and of its operations in the European world war, 1917-1919. The Red diamond (Meuse) division. Washington DC: The Society of the Fifth Division. Organized October 1917 at Camp Sevier, SC, from National Guard troops of TN, NC, and SC. Nicknamed “Old Hickory” after Andrew Jackson because of his historic connection between the three states furnishing the majority of the personnel. Insignia consists of the “O” and “H” from the name “Old Hickory” and three XXXs, the Roman numeral for 30. Served under British Army. Conway, Coleman Berkley (1920) History 119th Infantry, 60th Brigade, 30th Division. U. S. A. Operations in Belgium and France, 1917-1919. Wilmington, NC: Wilmington Chamber of Commerce. Walker, John Otey (1919) Official History of the 120th Infantry “3rd North Carolina” 30th Division, From August 5, 1917, to April 17, 1919. Canal Sector, Ypres-Lys Offensive, Somme Offensive. Lynchburg, VA: J. P. Bell company. Sullivan, Willard P (1919) History of the 105th Regiment of Engineers divisional engineers of the “Old Hickory” (30th) Division. New York, George H. Doran company. Diary of Colonel Joseph Hyde Pratt commanding 105th Engineers, A.E.F. Artillery never served with the 30th Division in France, but supported various divisions. Bacon, William James (1920) History of the Fifty-fifth Field Artillery Brigade … 1917, 1918, 1919. . Nashville : Benson Printing Co. 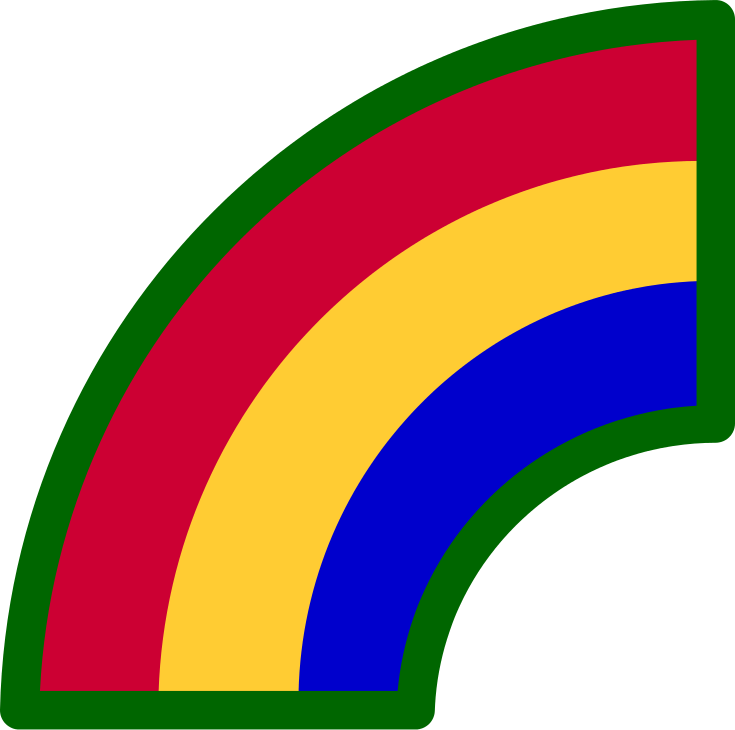 Formed in August 1917 with National Guard divisions stretched “over the whole country like a rainbow.” The division was created using units from 26 states and the District of Columbia. (The 117th Engineer Train was formed using the NC National Guard.) The rainbow became the insignia. Its initial design was a half arc, but later modified to a quarter arc to memorialize half of the division’s soldiers who became casualties during WWI. Artillery served almost continuously with the 42nd Division in France. Organized September 1917 at Camp Jackson, SC, from drafts of NC, SC, and FL. 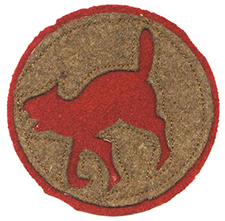 Nicknamed “Wildcats” in recognition of wildcats that inhabited southern states and after Wildcat Creek, which ran near Camp Jackson, S.C., where the unit was mobilized. Served under French Army. 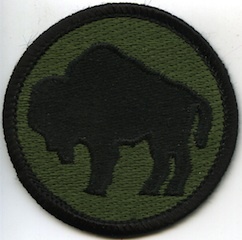 Insignia varied in color among units. Artillery never served with the 81st Division in France, but supported various divisions. Organized October 1917 at Camps Funston, Grant, Dodge, Upton, Meade, and Dix from National Army drafts from all parts of the United States. 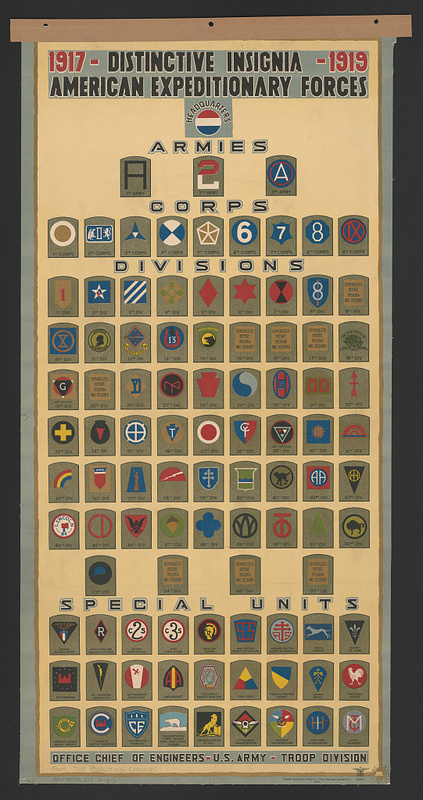 The division was assembled at Camp Upton, NY, in June 1918. Comprised of primarily African American combat units. Nicknamed the “Buffalo Soldiers” in honor of African American troops who served in the American West after the Civil War. Remained segregated until after WWII. Organized December 1917 at Camp Stuart, VA. Comprised of two entirely African American infantry brigades. 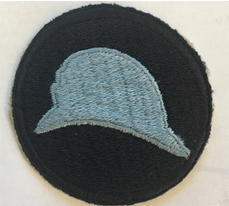 Served with French Army regiments, who gave them the nickname of “Blue Hat” due to the blue French helmets they wore with their American uniforms. Training and receiving formations of the United States Army during World War I. The role of depot brigades was to receive and organize recruits, provide them with uniforms, equipment and initial military training, and then move them to divisions as replacements. The depot brigades also received soldiers returning home at the end of the war and completed their out processing and discharges. 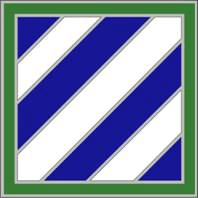 Depot brigades were often organized, reorganized, and inactivated as requirements to receive and train troops rose and fell, and later ebbed and flowed during post-war demobilization. Those soldiers drafted near the end of the war often were honorably discharged while in depot brigades. Some who died of disease were also in depot brigades at their death. 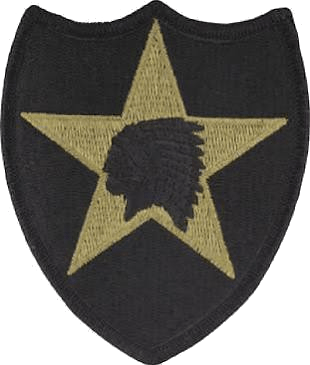 Special engineer services for the US Army encompassed many duties including water supply, electrical-mechanical, camouflage, searchlight services, bridging, map making and reproduction, sound and flash ranging, light railways, road and quarry (Division Light Railways and Roads, or D.L.R. and R.), engineer research, geologic investigations, and many more. 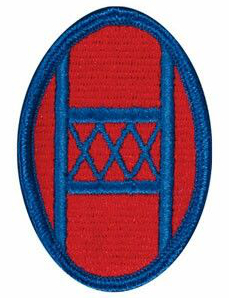 The first Pioneer Infantry was formed at Camp Wadsworth, SC, on January 4, 1918. Pioneers were trained and armed for construction or combat, instantly available in any emergency. Pvt Zade McLoud Williams G No NC WWI Service Record found. US Army Transport record used.